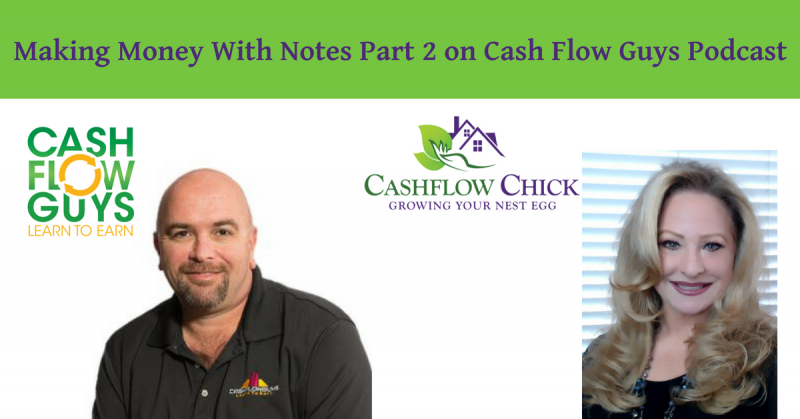 In this second segment of the CashFlowGuys Podcast Tyler Sheff and Paige Panzarello dig deeper into their note investing business. The episodes begins with a brief recap on note investing and then begins to discuss some of our actual deals and how we made money with them. The most common exit strategies are reviewed in greater detail to help listeners learn how to make the decision on the exit strategy. When making decisions on exit strategies, we must first consider our cost basis and a conservative estimate of the yield available to us for that strategy. Our four most common exit strategies involve: Deed In Lieu of Foreclosure, Short Sale, Foreclosure or our favorite strategy – a workout. We only choose first position notes on properties that are owner occupied. This gives us better odds on being able to provide win / win solutions.